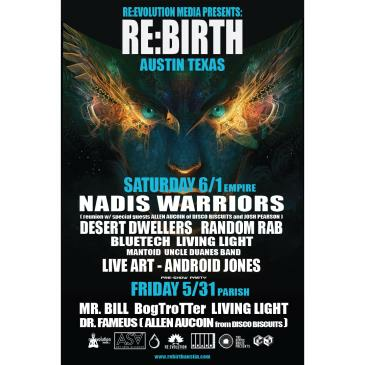 RE:BIRTH ft. Random Rab, Desert Dwellers + More! RE:BIRTH ft. Random Rab, Desert Dwellers, Mr. Bill + more! Front-row private viewing experience, access to private bar. This event is 18+ with a $5 minor surcharge, collected at the door.